We are open Tuesdays 3pm to 5pm and Fridays 10am to 12pm. If Swartz Creek Schools close for inclement weather, so do we. We are a cooperative effort of the Swartz Creek area churches and community groups to help feed our community! We are an inter-denominational, non-profit center serving the greater Swartz Creek area. We reach out in God’s love to meet the everyday needs of individuals and families in the Swartz Creek School district. We also work closely with existing agencies to offer hope to those facing obstacles. 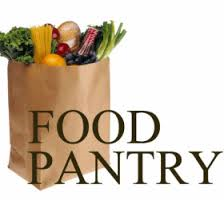 The Swartz Creek Community Food Basket is located in the back of the United Methodist Church of Swartz Creek, 7400 Miller Rd. Door #6. Pray! Every person who needs assistance from the center also needs our prayers. Every person who volunteers is in need of God’s guidance. Join us: Talk to your pastor or service group leader about joining us or referring people with needs to the center. Donate food and personal care items: We can give you or your organization a complete list of needed items. Give Financially: All gifts go toward purchasing items needed each month. Volunteer: We train volunteers to provide services.